A stunning 3 bedroom penthouse apartment near the Palais. 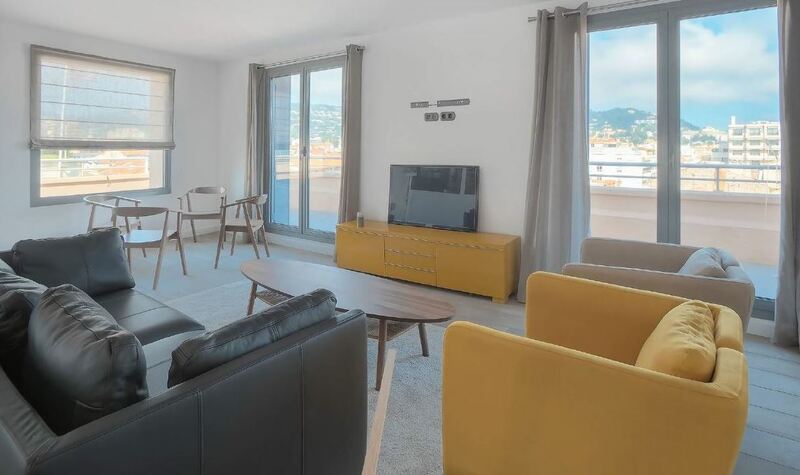 This property features a lovely terrace to fully appreciate the gorgeous city of Cannes and sea views in comfort. The 3 spacious bedrooms are tastefully decorated and come with their own en-suite bathrooms. A fully equipped open-plan kitchen provides a perfect area for entertainment as well as a breakfast bar and large living room.